Stacey Poole has been practicing law since 2000. She received her B.S. from Portland State University in 1995. After completing her graduation, Ms. Poole decided to continue her career in law and enrolled in Golden Gate University, where she obtained her Juris Doctor degree in law in 1999. She was admitted to practice law in California in the same year. She later obtained her LLM in taxation at Golden Gate University. 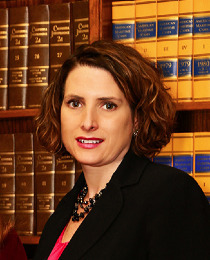 Ms. Poole is one of the renowned and experienced San Francisco family law attorneys who has represented clients in cases pertaining to family law including divorce/legal separation, child custody, child and spousal support and division of marital property.